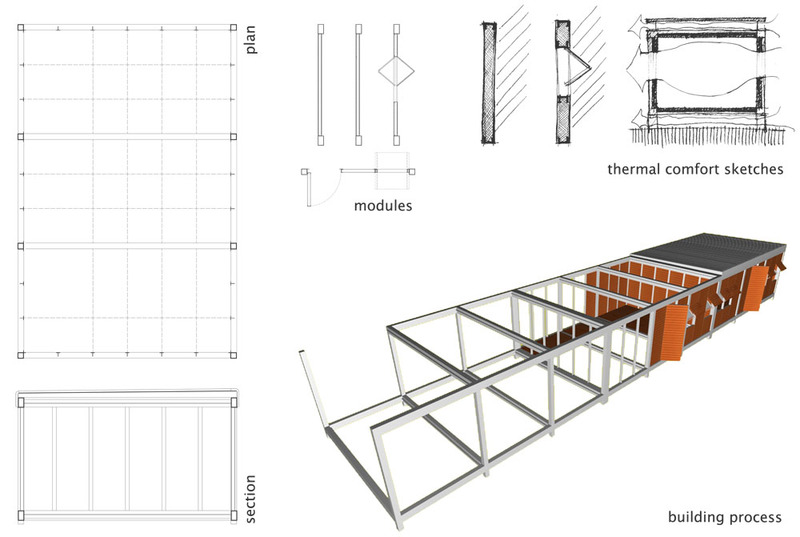 Group entry for the student category of Prêmio Caixa IAB 2004 – National Competition of Ideas and Solutions in Architecture and Urban Planning, aiming at social housing. 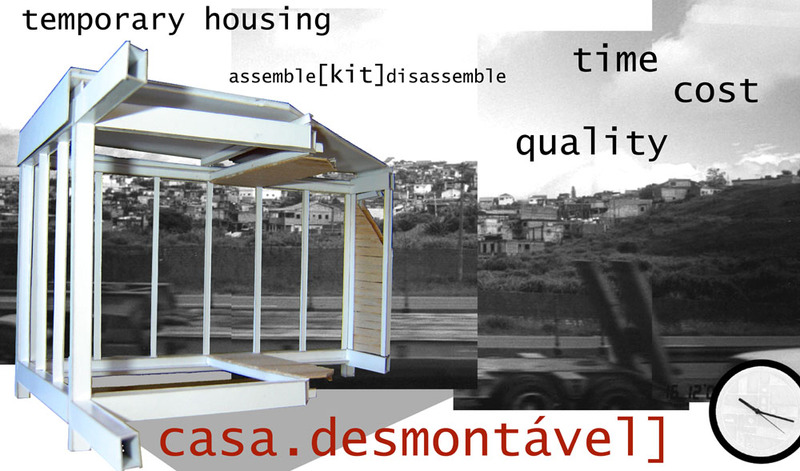 As students were free to explore themes and issues, we decided to work with temporary housing – a recurrent situation in Brazil, when families are living in illegal/ risky areas, will be relocated to new houses and meanwhile stay in “casas de passagem”, usually collective temporary residences. 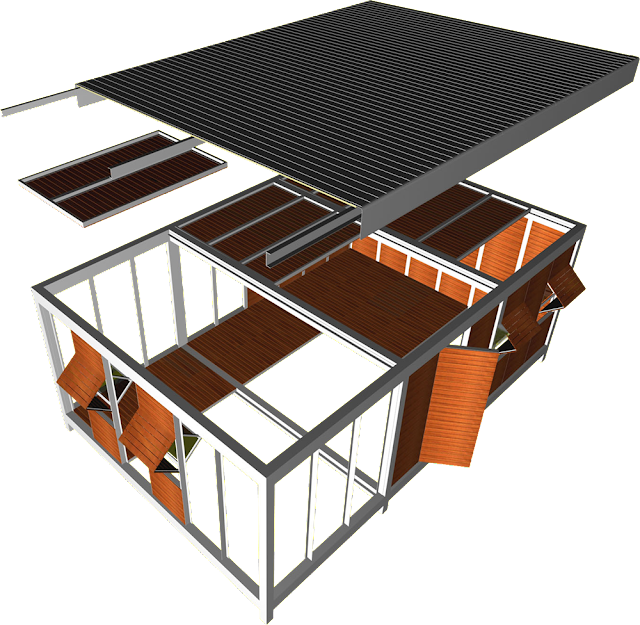 Cost and time are major issues involved in this solution, and our idea was to improve the process by creating modular dismountable temporary houses, that could be reassembled “x” times in different places. Architectural qualities such as aesthetics and thermal comfort were the main premises of the design. Insulated, prefabricated steel-framed wooden panels shape up different housing modules, adapting to each specific case.